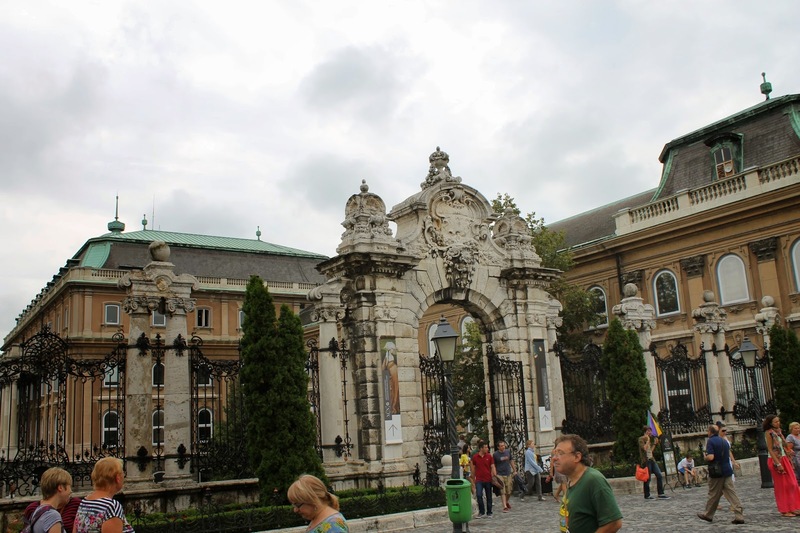 I was fortunate enough to spend 3 days in Budapest in the summer of 2014. 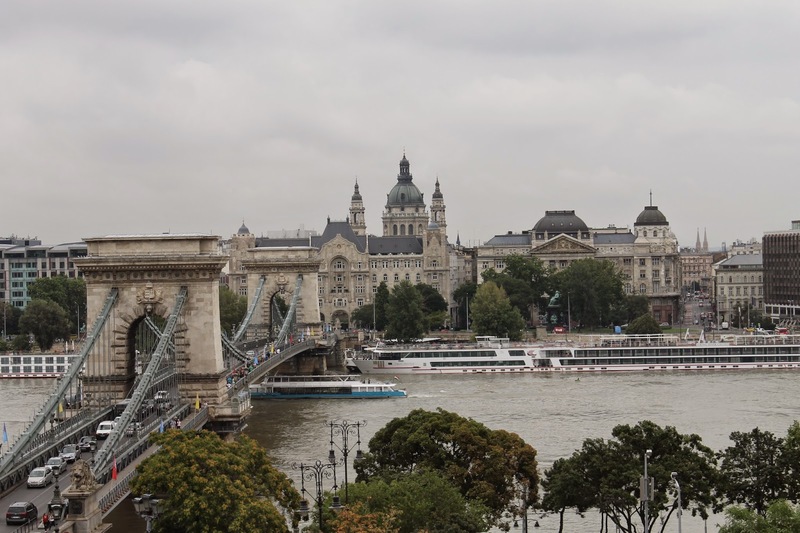 While 3 days is far from enough time to really be immersed in Hungarian culture and experience all the wonders that Budapest has to offer, it was a great glimpse of an amazing city that I cannot wait to return to some day. 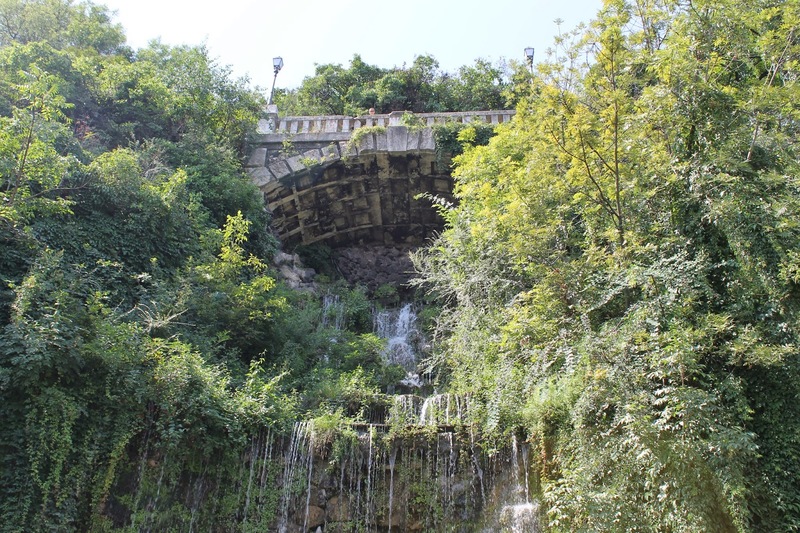 The charm of the city stole my heart; despite being a huge metropolitan area; it was very walkable and felt like a small community, one that I walked several miles in over the course of three days. 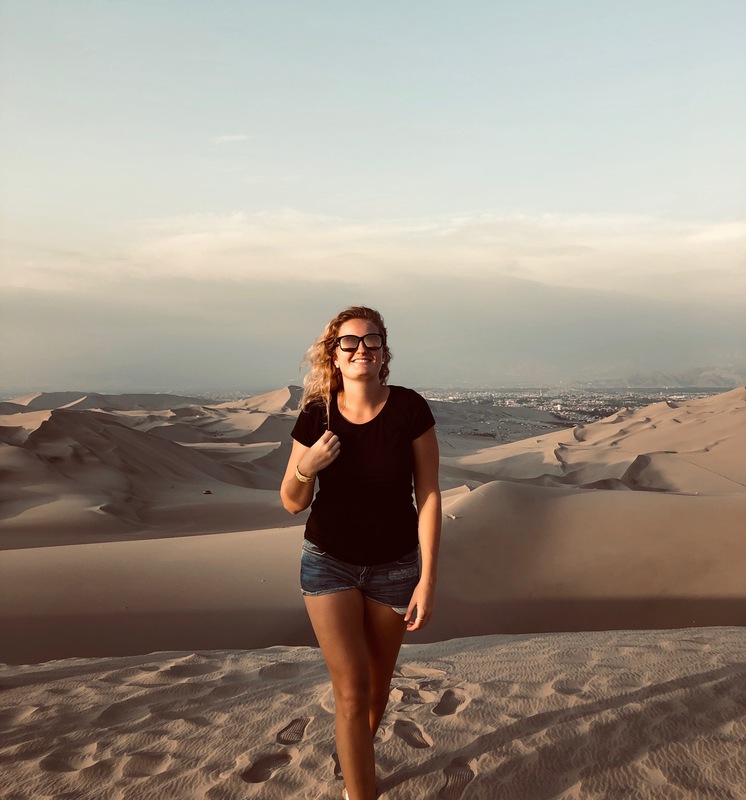 The people were friendly and welcoming and the time I spent exploring alone was a wonderful time of self-reflection and tranquility, paired with the sentiment of adventure being in a new place. 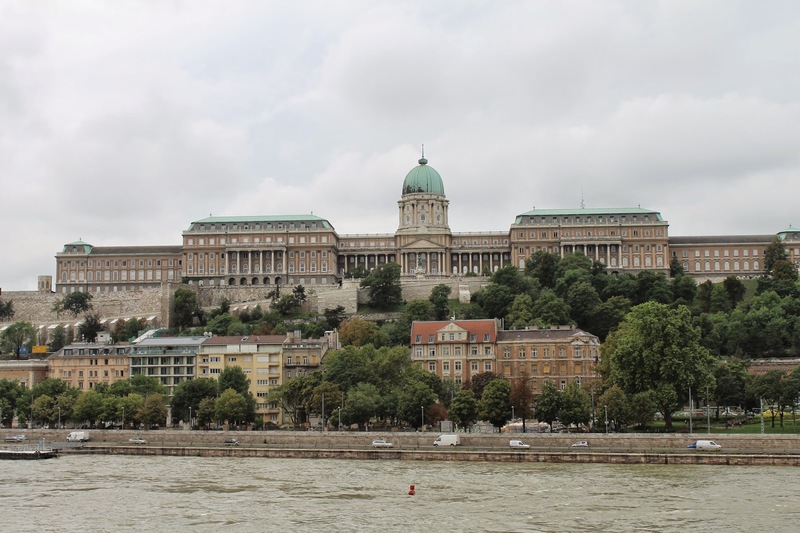 Here is a look at some of the things I did and what I would recommend to others to experience during a stay in Budapest. 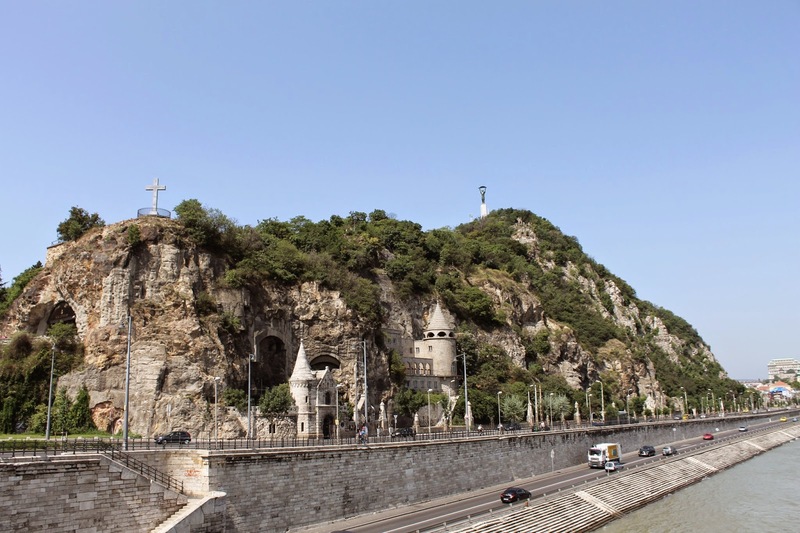 Situated on the Buda side of the river Danube, Géllert Hill is a beautiful hilly park that is easy to hike up for awesome view of Budapest. Be wary of some of the sketchy figures lurking in the park, there are a bunch of scammers who run various rigged games and get tourists to bet money and oftentimes they end up losing considerable chunks of money. I sat and watched for awhile and it was quite entertaining, there are hustlers in every city, observing but not participating is the best route. 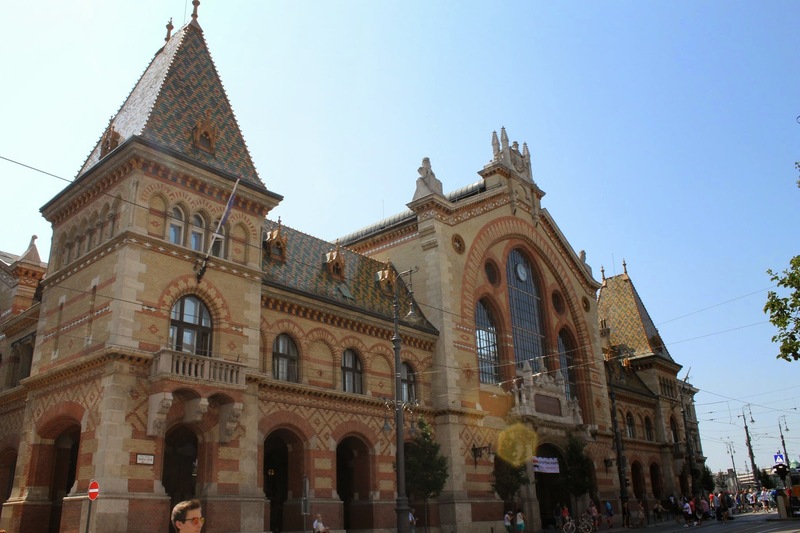 Central Market Hall is the largest indoor market in Budapest. 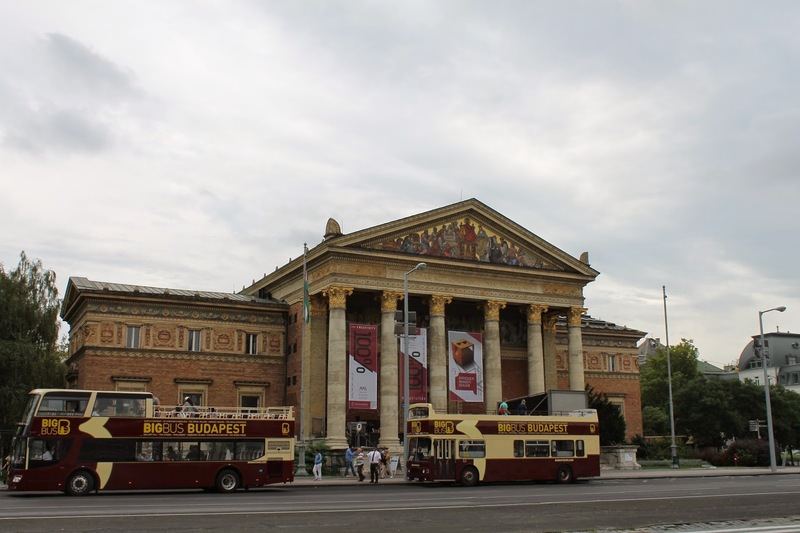 Aside from being a beautiful building, the market hall is a host to various vendors and is a great spot to grab a quick bite to eat and try out various Hungarian cuisines. There are eateries, shops to buy souvenirs and other goods. 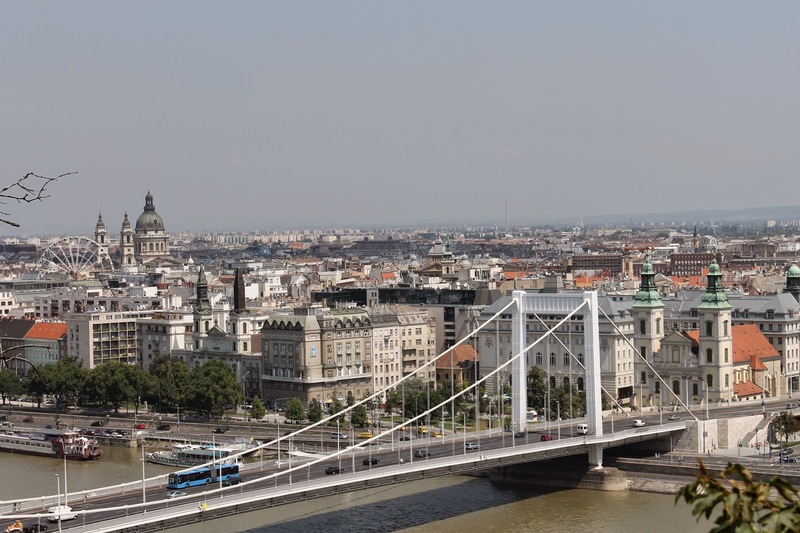 Budapest is very famous for its Hungarian baths, and there are many of them throughout the city to choose from to spend a relaxing day in the thermal waters. 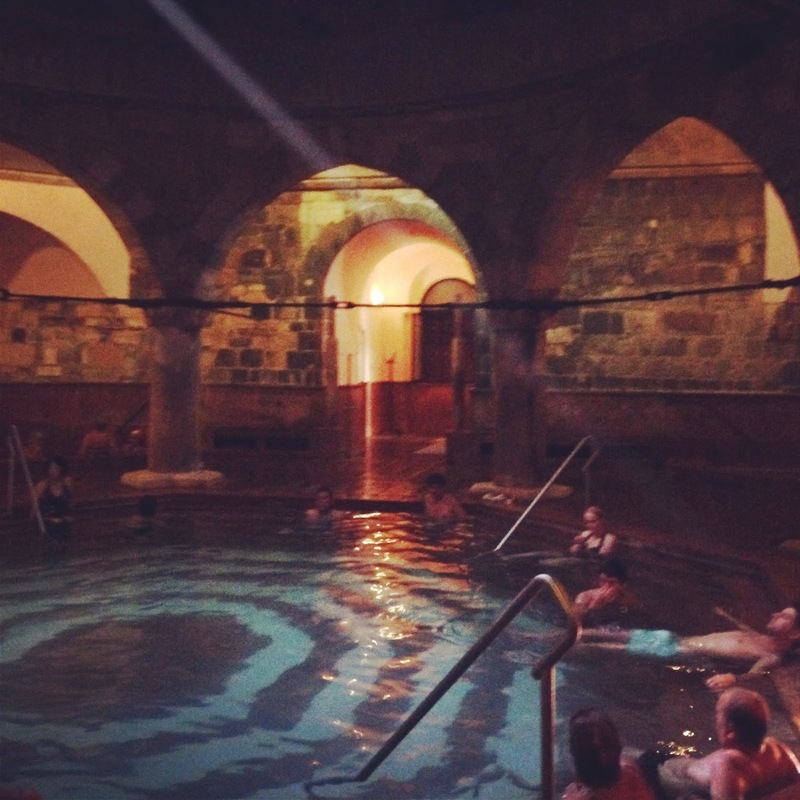 When I first heard about it, the idea of a communal bath kind of grossed me out, but after reading a slew of reviews that raved about the baths, I decided that soaking myself in sulfur water and others bodily fluids was something I had to check off my list. 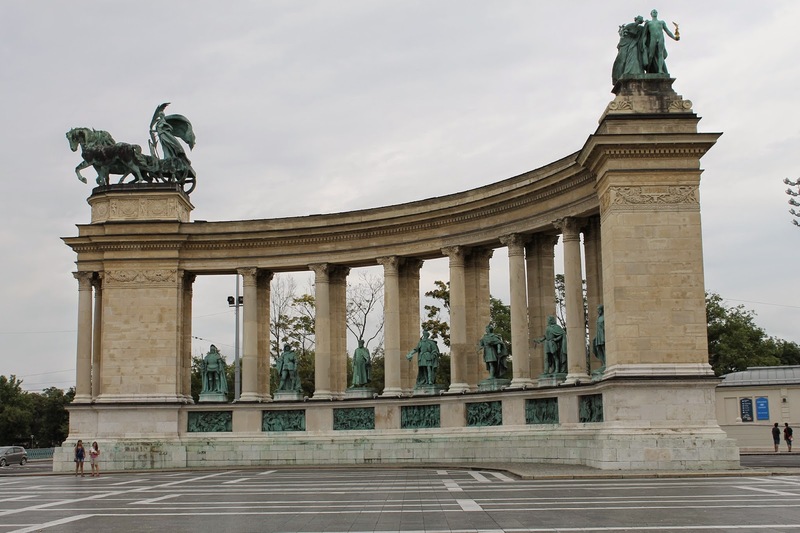 The Széchenyi is probably the most famous, it is a huge bath, the largest of its kind in all of Europe. 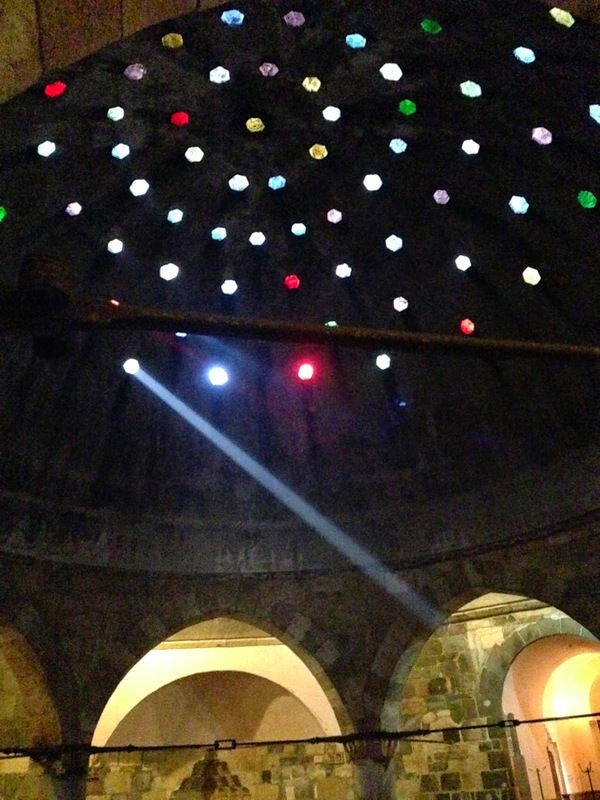 I opted to go to the Rudas bath instead, to avoid huge crowds of tourists and screaming kids. It was a super relaxing experience, soaking in the hot water and going from cold to hot pools was just a great way to spend a chill day (and get rid of a hangover). Because they don’t allow pictures, I had to sneak this one with my iPhone and the quality is not the best. 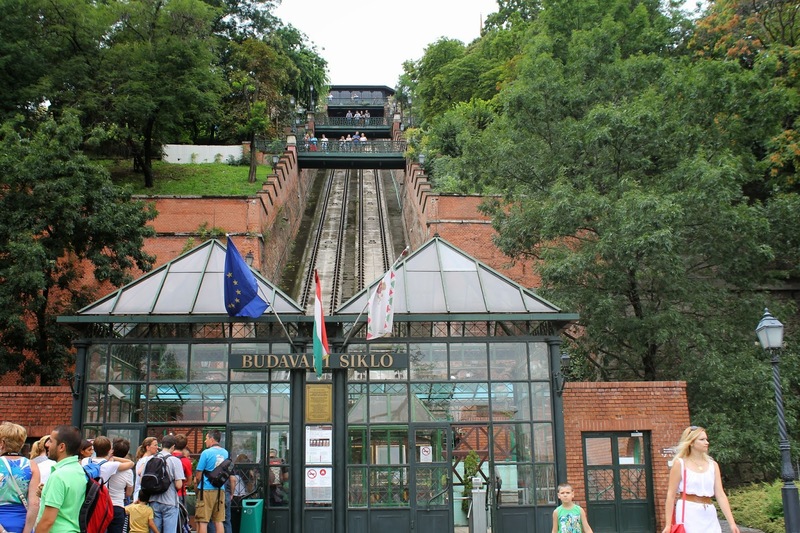 The Funicular is a gondola/lift cart system to take people up Castle Hill to Buda Castle. The Castle is a beautiful, extensive and historical building. There are various offered guided tours throughout the day. Of course, I happened to get into a cart with a bunch of people from Wisconsin. The world scares me how small it is sometimes. 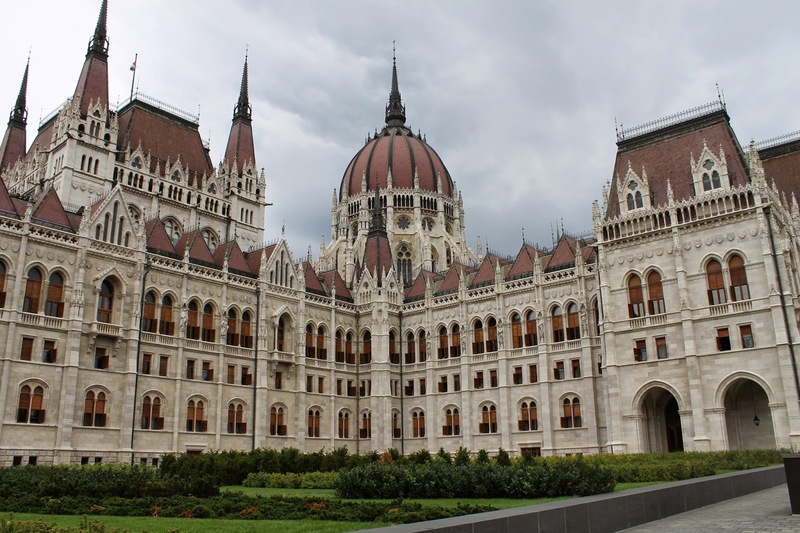 The Hungarian Parliament building is a really pretty and unique architectural construction. 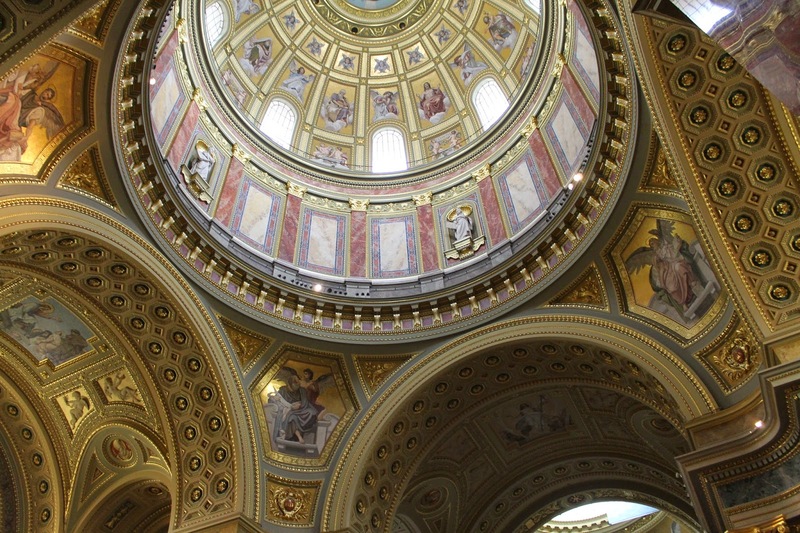 Various tours of the Parliament are offered, mainly to show the Hungarian Crown Jewels. 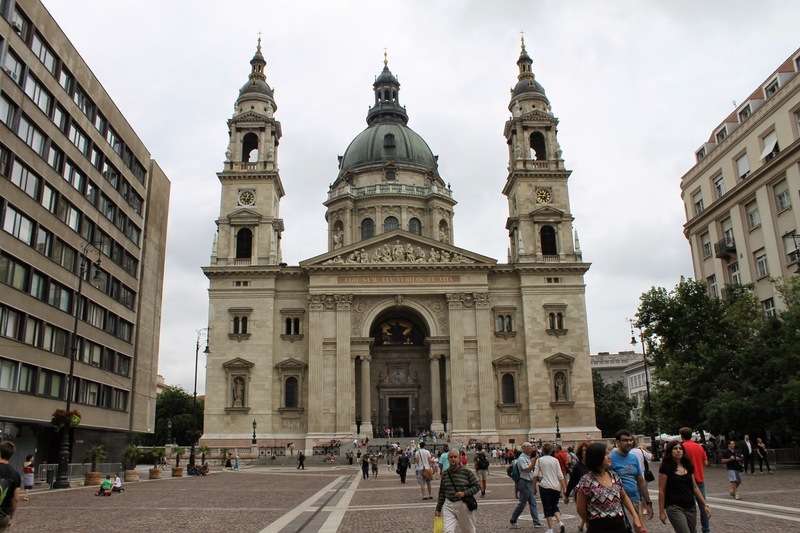 It is the largest building in Hungary. 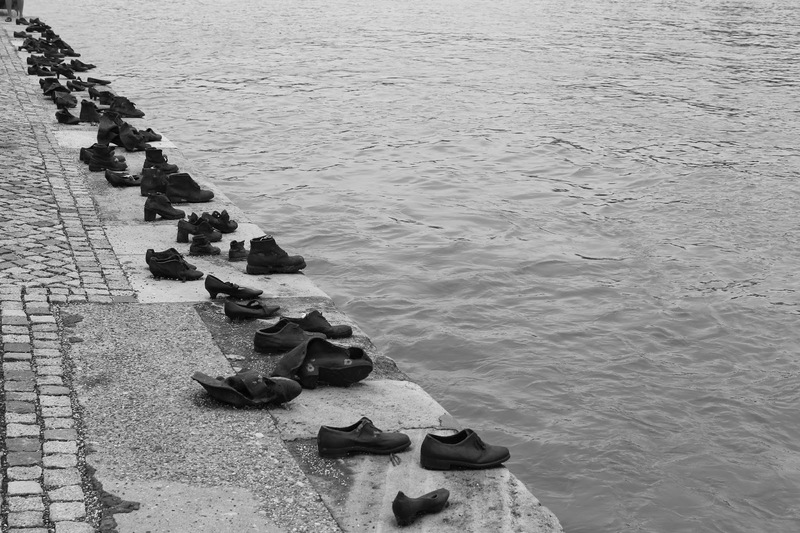 The scatter of iron shoes on the banks of the Danube on the “Pest” side is a memorial tribute to Jews that were shot into the river during World War II by the Arrow Cross fascist militia group. The shoes are all of a 1940s style and there are 60 pairs. The memorial was constructed in 2005. It is a nice free tourist thing to observe during a walk along the river. 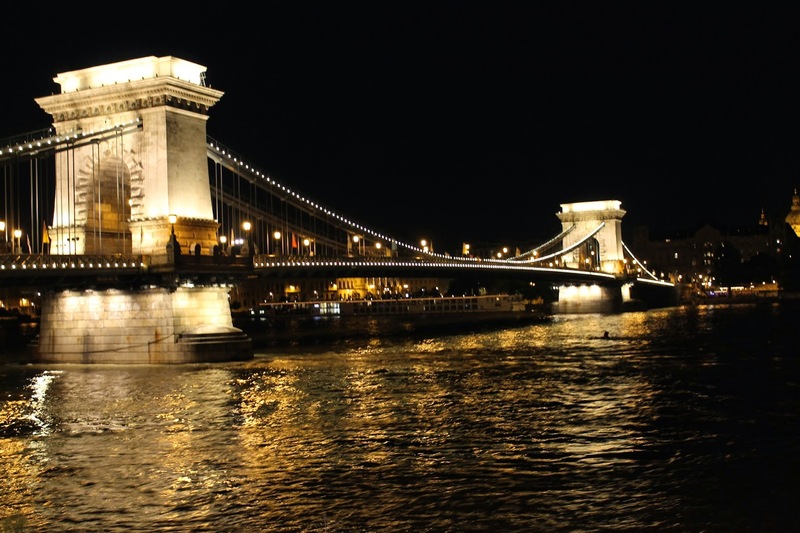 Chain bridge was the first bridge to connect Buda and Pest. Opened in 1849, it was an engineering marvel of the time. 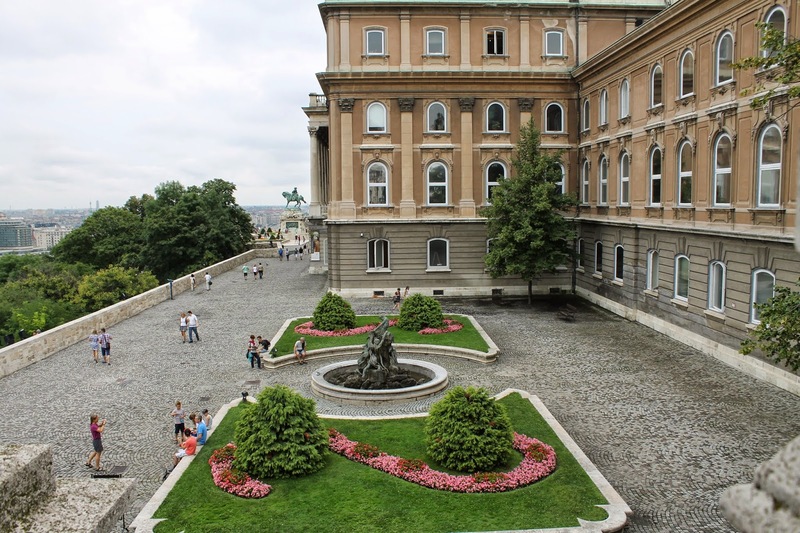 It is situated near the foot of the Buda Castle on the Buda side of the river, and leads over to a street that connects to St. Stephens Cathedral and other attractions on the Pest side. I am glad I took the time to walk over the bridge both during the day and at night, as it is lit up and very beautiful and provides a nice view of the castle which is also illuminated through the evening. In various parks and public places along the river, young people were gathering to enjoy a drink and the views of the city. 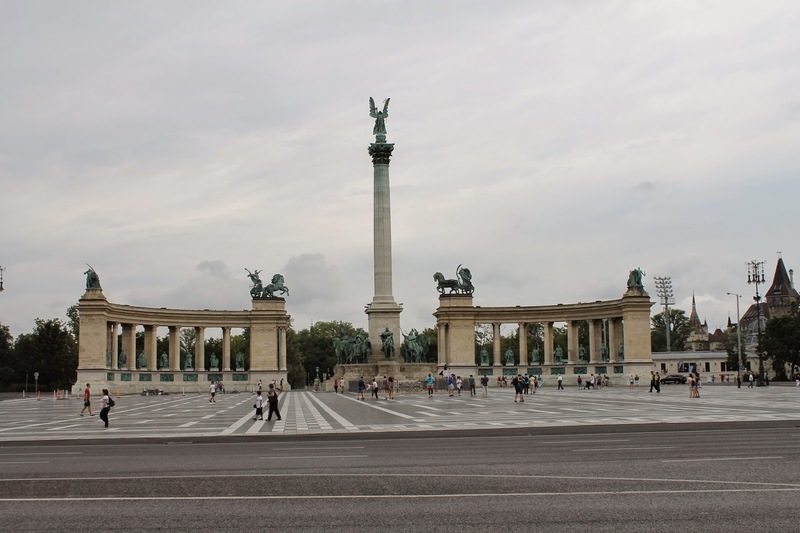 A long walk down the famous Andrássy út leads to this famous square, which hosts statues of famous Magyar chieftains of Hungary as well as the Tomb of the Unknown Soldier, the Museum of Arts and it serves as the entrance to the beautiful city park. 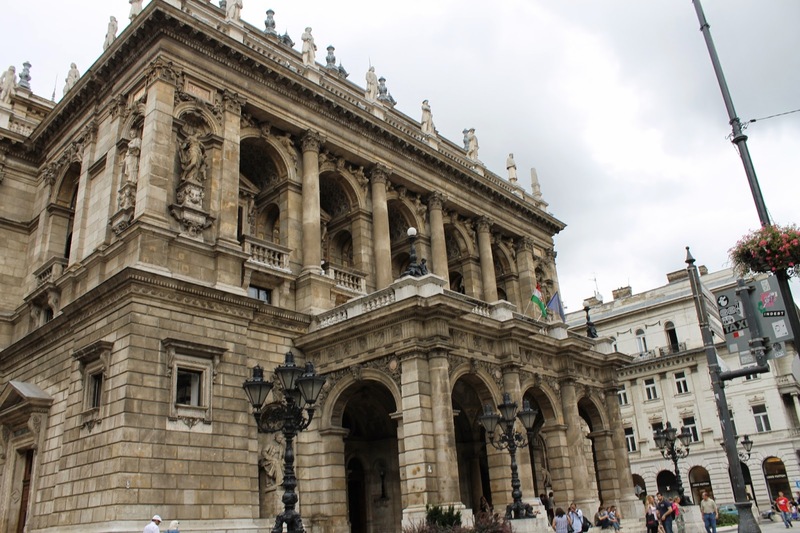 This was probably one of my favorite *free* things to do in Budapest. The walk down Andrássy út reminded me of walking around the streets of Paris, except it was much more peaceful and serene with far fewer tourists, even in August. 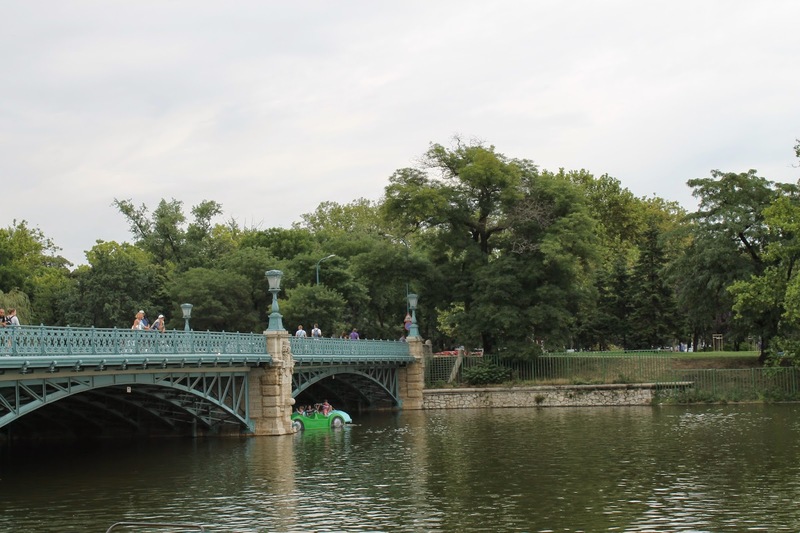 The park was absolutely beautiful, I wish I would have had more time to explore Budapest, but it makes me excited to return again someday. Hungarian food and wines are amazing. 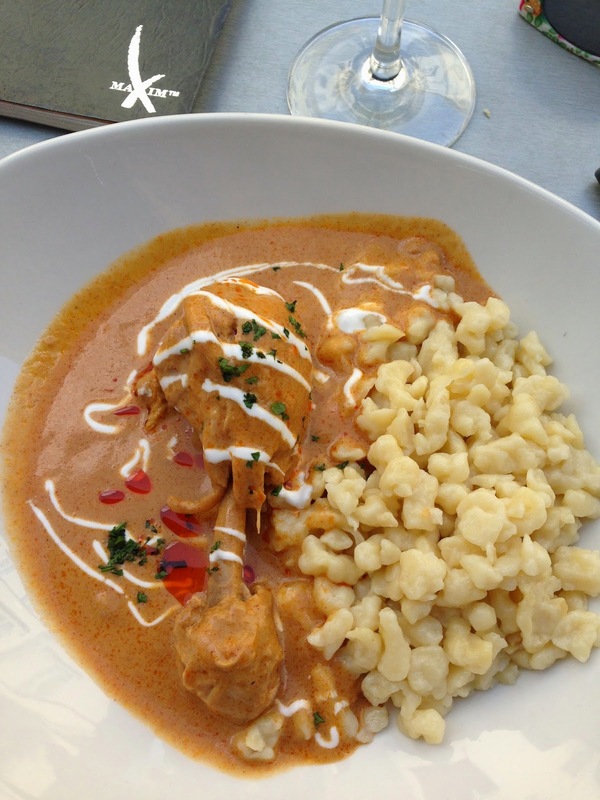 I fell in love with chicken paprikash, a typical Hungarian dish of chicken in a sweet paprika sauce with Hungarian dumplings. 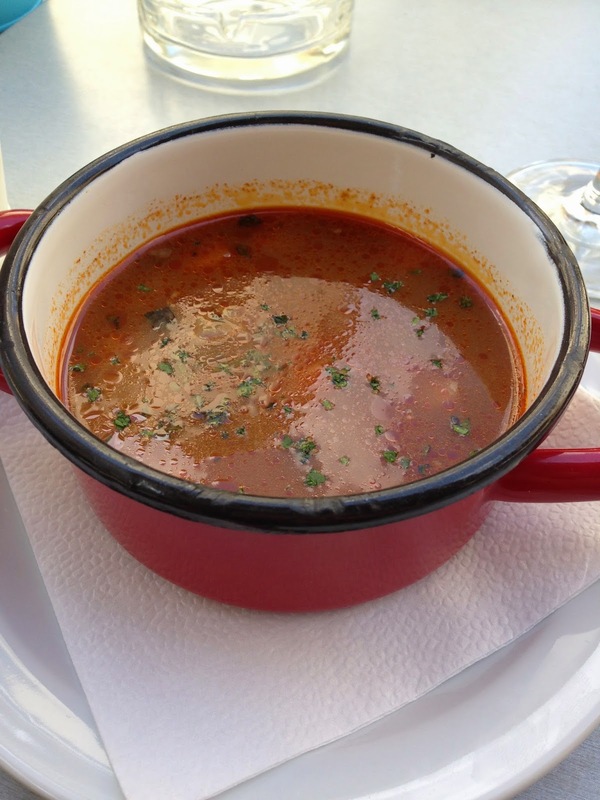 Goulash is also delicious. 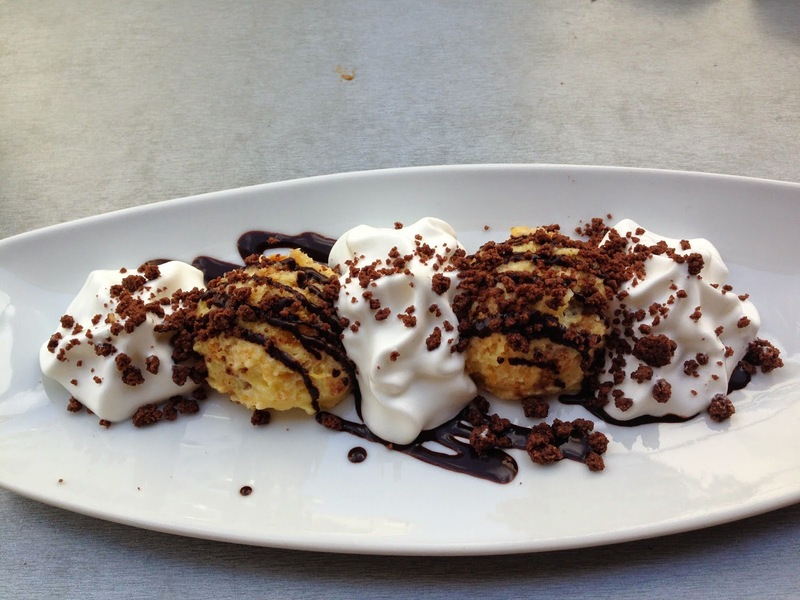 For food, there are so many options to choose from, Váci utca is a famous street with a host of restaurants, but they are a bit pricey. I ate at Paul’s Bistro here and had a three course Hungarian meal paired with wine. It was an awesome experience, I would highly recommend this restaurant to anyone looking for Hungarian food. I stayed at Maverick Hostel and it was an amazing experience. Full kitchen, located right next door to a grocery store, located a short walk from all major attractions and the heart of the city. It is a very safe and clean hostel. I would highly recommend all travelers stay here, and I would certainly return for another stay in the future. 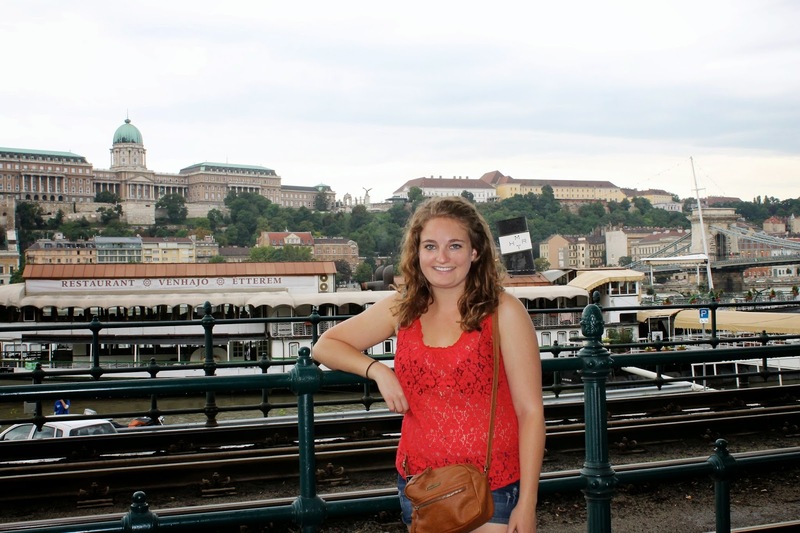 Overall, Budapest was an amazing experience that I wish could have been a full week. I look forward to returning someday- hopefully in the near future!